WASHINGTON (CNN) — A new poll suggests that George W. Bush is the most unpopular president in modern American history. "No president has ever had a higher disapproval rating in any CNN or Gallup poll; in fact, this is the first time that any president's disapproval rating has cracked the 70 percent mark," said CNN Polling Director Keating Holland. "Bush's approval rating, which stands at 28 percent in our new poll, remains better than the all-time lows set by Harry Truman and Richard Nixon (22 percent and 24 percent, respectively) but even those two presidents never got a disapproval rating in the 70s," Holland added. "The previous all-time record in CNN or Gallup polling was set by Truman, 66 percent disapproval in January 1952." CNN Senior Political Analyst Bill Schneider adds, "He is more unpopular than Richard Nixon was just before he resigned from the presidency in August 1974." President Nixon's disapproval rating in August 1974 stood at 67 percent. "Americans are growing more pessimistic about the war," Holland said. "In January, nearly half believed that things were going well for the U.S. in Iraq; now that figure has dropped to 39 percent." The numbers on the Iraq war come on the five-year anniversary of President Bush's "mission accomplished" moment onboard the aircraft carrier USS Abraham Lincoln, when Bush proclaimed that "major combat operations in Iraq have ended." The record low support for the war in a CNN poll could be one reason behind the president's unpopularity, but it probably is not the only one. "Support for the war, the assessment of the economy and approval of Mr. Bush are all about the same — bad," Schneider said. Carter spokeswoman Deanna Congileo confirmed his comments to The Associated Press on Saturday and declined to elaborate. He spoke while promoting his new audiobook series, "Sunday Mornings in Plains," a collection of weekly Bible lessons from his hometown of Plains, Ga.
(CBS) The president’s approval level remains below 50 percent, and Americans are still divided over the war in Iraq. They are paying attention to one of the summer’s major news stories – the possible 2003 leak to reporters of the identity of CIA covert agent Valerie Plame. In fact, the story has captured a level of attention from the public similar to the early stages of political scandals such as Whitewater, the Democrats' 1996 fundraising and Iran Contra. Forty-one percent of the public views this controversy as of great importance to the nation -- more than what was said about the Whitewater scandal in its early days, and about the same as was measured for Iran-Contra in the spring of 1987 and the campaign fundraising scandal. But compared to how Americans felt about Watergate in 1973, fewer today see this issue as of great importance. Views on the issue’s relevance to the nation are highly partisan. Fifty-two percent of Democrats think the matter is of great importance, compared to 31 percent of Republicans. The inverse was true during the Whitewater scandal and during the scandal involving 1996 campaign contributions -- then, more Republicans than Democrats felt the issue was of great importance. Democrats are also more critical than Republicans of the administration’s honesty in the matter, more convinced of its involvement and more apt to see that involvement as part of a broad effort to discredit critics. But Americans remain focused on the set of issues that have been at the top of their minds for months -- the war in Iraq, the economy and jobs, and terrorism. These three issues rank at the top of the list of important issues facing the country. Views on the economy have improved slightly since June; 57 percent think the economy is in good shape. But views on Iraq remain negative, as they have been for months. Americans are skeptical about the Bush administration’s behavior and public statements about the 2003 leak of the name of undercover CIA officer Valerie Plame to reporters. Only 12 percent think the Bush administration is telling the entire truth about the matter; more than half –- 55 percent -- think the administration is mostly telling the truth but hiding something, and another 22 percent think it is lying. Many Republicans doubt the administration is telling all it knows to the public. Fifty-seven percent of Republicans think the administration is hiding something or lying -- although 28 percent think it is telling the entire truth. Democrats are much more skeptical. 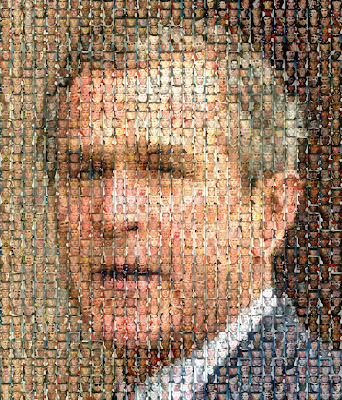 In previous polls, a majority of the public also felt the Bush administration was withholding information about the Abu Ghraib prisoner abuse scandal and the Enron collapse. As for responsibility for the leak, just over half of Americans think it was someone in the Bush administration. Twenty-one percent think it was not someone in the administration. However, about a quarter don’t know. DID SOMEONE IN BUSH ADMINISTRATION LEAK NAME? Once again, views on this are highly partisan. Twenty-nine percent of Republicans think the Bush administration was responsible for the leak, compared to 64 percent of Democrats. Twenty-nine percent of Americans think the leak was part of a wider effort by the Bush administration to discredit its critics. Eighteen percent think the leak was an isolated incident or mistake. On this question as well, Democrats are more apt to view the administration’s activities in a negative light. Independents look similar to Democrats, with one-third of them saying the leak was part of a wider effort, but one-fourth also don't know if the administration leaked the name or not. Over half of Americans say they have heard or read at least some about this issue. Those who have heard or read a lot about the matter are more apt to think the administration was involved, and to view the administration’s actions as part of a larger effort. Democrats (19 percent) are about as likely as Republicans (17 percent) to have heard or read a lot about the issue. Men are more apt than women to have heard a lot, as are those over age 45 and those with more education. Rove has said that he spoke with reporters about Valerie Plame but that he did not refer to her by name. The public is not sure whether Rove’s actions broke any laws. Nearly four in 10 Americans believe Rove did something either unethical or illegal in the Plame case –- with most of those saying his actions were unethical, not illegal. Twenty-seven percent think he did nothing wrong, while 34 percent aren’t sure. Americans are more likely to say removing Saddam Hussein was worth it; 45 percent think it was, but 47 percent say it was not. 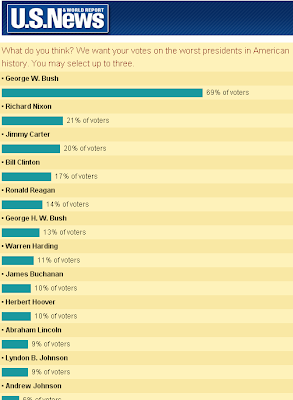 One-third still believes Saddam Hussein was personally involved in the September 11th terrorist attacks on the United States, but 53 percent say he was not. In 2003, during the early months of the war, more Americans were convinced Saddam was involved in 9/11, but by 2004 that dropped close to the level it is now, and has remained there. Forty-eight percent now think things are going well for the United States in Iraq, while half say things are going badly. These assessments are slightly improved from July, when 54 percent said things were going badly for the United States. 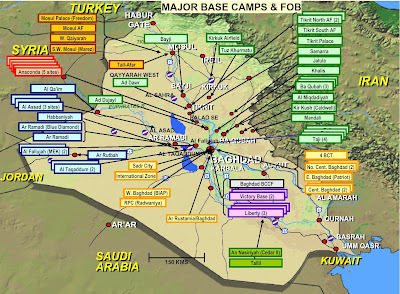 HOW ARE THINGS GOING NOW FOR THE UNITED STATES IN IRAQ? Views on other questions about the war in Iraq are unchanged since July. Americans remain divided over whether taking military action in Iraq was the right thing to do, and most, 64 percent, think it is likely that the United States will succeed in Iraq. Looking ahead, 46 percent want the United States to decrease the number of troops in Iraq; 31 percent think the troop levels should be kept the same, and just 15 percent say the number of U.S. troops should be increased. Two-thirds of those who don’t think the United States will succeed in Iraq want the troop level to be decreased, while those who feel the United States is likely to succeed there are more willing to keep troop levels the same or even increase them. Many, 41 percent, think the war in Iraq has made it harder for al Qaeda to launch new terrorist attacks, while 36 percent say the war did not have much impact in this regard. But 16 percent, almost three times as many as two years ago, now say the Iraq war has made it easier for al Qaeda to launch terrorist attacks. In addition, 45 percent believe the war in Iraq has actually increased the threat of terrorism against the United States; 39 percent say it has had no effect and just 14 percent say the war in Iraq has decreased the terrorist threat against the United States. Just over half view Iraq as part of the broader war on terror, a slight increase from the 46 percent who said so in July. Forty-six percent now say Iraq is separate from the war on terrorism. In April 2003, after U.S. troops took control of Baghdad, two-thirds viewed the war in Iraq as part of the war on terrorism. Over two-thirds of Americans are confident that the U.S. government will be able to protect its citizens from future terrorist attacks, but confidence levels have declined over time. Just over a year ago, three-quarters were confident. Immediately after the September 11, 2001 terrorist attacks, nine in ten had confidence. The percentage who do not have confidence has risen to 30 percent, up from 24 percent in April 2004 and nearly three times as many as just after the September 11th attacks. Nine in ten Republicans are confident that the government will be able to protect U.S. citizens from terrorist attacks, compared with 54 percent of Democrats and 63 percent of Independents. Sixty-one percent think it is likely that there will be another terrorist attack on the United States within the next few months; 36 percent think that is unlikely. On a broader scale, two in five say the United States and its allies are winning the war against terrorism, although nearly as many say neither side is winning and fewer than one in five say the terrorists are winning. Despite recent terrorist attacks in London, these views have not changed since January. Fifty-seven percent now rate the nation’s economy as very or fairly good -- up slightly since June. Forty-two percent think the economy is in bad shape. Still, the public expresses concern; 32 percent think the economy is getting worse, while fewer, 20 percent, think it is improving. Views of President George W. Bush have remained stable in the past month and even improved since June. In this poll, 45 percent approve of the job he is doing as president, unchanged since last month but higher than his 42 percent approval in June. Bush’s ratings on handling specific issues are mostly unchanged from last month. As has been the case, handling terrorism remains the president’s strongest issue, with a 55 percent approval rating, while his handling of Social Security is his weakest issue, on which he receives only a 29 percent approval rating. This poll was conducted among a nationwide random sample of 1222 adults, interviewed by telephone July 29-August 2, 2005. The error due to sampling could be plus or minus three percentage points for results based on all adults. Error for subgroups is higher. As the five-year anniversary of the US invasion of Iraq approaches, a leading economist is estimating that the overall cost of the war will be between $3 trillion and $5 trillion. This figure does not take into account the enormous devastation that the US military has wrought upon the population and social infrastructure of Iraq. On Thursday, Joseph Stiglitz told the congressional Joint Economic Committee that $3 trillion was at the low end of estimated war costs. After factoring in the cost of weapons and operations, future health-care costs for veterans, interest on foreign loans used to fund the war, and future borrowing, Stiglitz said the costs of the wars in Iraq and Afghanistan would be somewhere between $5 trillion and $7 trillion for the US alone. Another estimated $6 trillion will be borne by other countries, he said. Stiglitz, former chief economist for the World Bank and a Nobel laureate, is co-author with Harvard economics professor Linda Bilmes of The Three Trillion Dollar War: The True Cost of the Iraq Conflict, a book released Friday. The book builds on 2006 research that estimated the cost of the so-called war on terror in excess of $1 trillion. Officially, the US spends $16 billion every month to occupy Iraq and Afghanistan, but this figure includes only direct expenses. These enormous sums are being expended to carry out a crime of immeasurable proportions. More than a million civilians have been killed in Iraq alone. Some 4.5 million more have been displaced by the violence, with thousands of refugees fleeing the country into Syria, Jordan and elsewhere every day. With $3-5 trillion, the US government has destroyed an entire society. Those charged with carrying out the conquest have also been sacrificed. Over 5,000 military personnel—the vast majority US troops—have died in the wars against Iraq and Afghanistan since 2001. A substantial portion of the estimated costs will go to pay for health care for the tens of thousands of wounded soldiers. The American ruling class has initiated a policy of unending war as it cuts jobs and social programs in the United States. According to Stiglitz and Bilmes, $1 trillion could pay for 8 million housing units, university scholarships for 43 million students, health care for 530 million children, or the salaries of 15 million public school teachers in the US. In an interview published Thursday in the British newspaper, the Guardian, Stiglitz noted that the US spends $5 billion a year in aid to Africa. “Five billion is roughly 10 days’ fighting, so you get a new metric of thinking about everything,” he said. The United Nations estimates that $195 billion would end world hunger and most of the devastating diseases afflicting the world’s poor. AIDS, measles, tuberculosis, malaria and other water-borne illnesses could all be brought into manageable numbers or wholly eradicated within a short time for less than the cost of one year of waging war in Iraq. Instead, the US occupation of Iraq has reintroduced diseases such as cholera into Iraqi society. For years, the US political establishment has carried out attacks on social programs and the jobs of American workers. Workers are now told that there is no money for decent wages and benefits, while billions are spent on military wars of aggression. One consequence of the chaos wrought in the Middle East, Stiglitz asserts, has been the enormous rise in the price of oil. For industrialized countries, the increase in the cost of oil attributable to the war is around $1.1 trillion. For developing countries, the effect has been much more extreme. According to Stigltiz’s and Bilmes’ book, the increase in the cost of oil more than offsets the increase in foreign aid to countries in Africa. Stiglitz told Democracy Now! radio on Friday that the most significant budgetary cost of the war is the care of disabled veterans, which he said “will total hundreds of billions of dollars over the next decades.” The war has inflicted a huge number of injuries. He said that an estimated 39 percent of soldiers would have some form of disability after completing their rotations. Bilmes, who also appeared on the Democracy Now! program, explained that while in previous wars the ratio of wounded to dead was two-to-one or three-to-one, new medical technologies have allowed many who might otherwise have died to survive extremely serious injuries. The wounded to fatality rate for the Iraq war is approximately 15-to-1. “What it means is that the United States has a long-term cost of taking care of many, many thousands of disabled veterans for the rest of their lives,” she said. While the vast majority of the US and world population wants an end to the occupation in Iraq, no section of the political establishment represents this opposition. An article in the Wall Street Journal on Friday noted that the Democratic presidential candidates, Senators Barack Obama and Hillary Clinton, employ careful rhetoric on the issue of withdrawal from Iraq. “Both candidates draw a distinction between ‘combat’ troops, whom they want to withdraw, and ‘noncombat’ troops, who will stay to battle terrorists, protect the US civilian presence and possibly train and mentor Iraqi security forces,” the newspaper noted. This distinction allows the candidates to posture as opponents of the war while maintaining their commitment to an indefinite occupation. “No one is talking about getting to zero,” a foreign policy advisor for Obama told the Journal. An unnamed Obama campaign “senior advisor” said the senator was “comfortable with a long-term US troop presence of around five brigades,” according to the paper.